Even in sunny California, fireplaces are considered to be a must-have home accent. Aside from keeping your home or business warm on brisk fall or winter evenings, fireplaces draw the eye, creating the ideal focal point for any room. 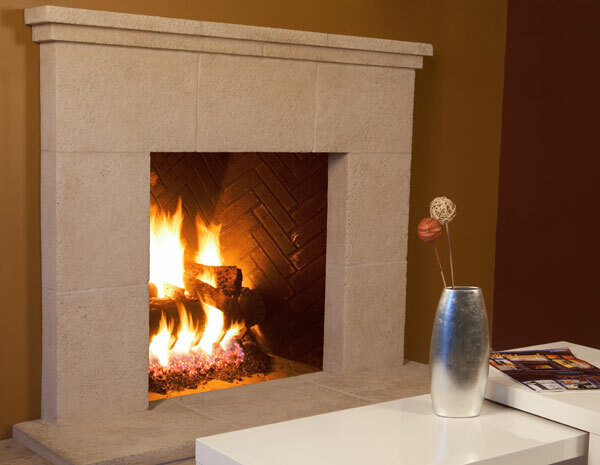 Once you have a fireplace, you must set it off with the perfect fireplace surround. Nothing says classic elegance like marble fireplace mantels. When you think of a marble fireplace mantel, you probably imagine the classic snow-white marble or distinguished white marble that is veined with gray or green. SoCal Fireplace Mantels offers these traditional colors for those who wish to stick to the tried-and-true looks for their home or business. However, we also have a number of different marble options for those who are looking for a distinctive solution for their fireplace, such as striking crimson marble, peach and gray marble, and more. Marble also remains a perennial favorite among our customers because it shows off the detail of the intricate carvings of French country fireplace mantels, the geometric shapes of art deco or British Colonial fireplace mantels, or even the clean, crisp lines of modern fireplace surrounds. Few other materials showcase fine details and carvings as well as marble. Come see all of our marble options for fireplace mantels and surrounds at our extensive showroom in Van Nuys, or call to receive a full color catalog. Our skilled representatives are glad to show you all of your design options, or to discuss creating a custom design made just for your home or business.